Getting professional-quality work from your HP Color LaserJet CP5225n printer just got a whole lot easier thanks to 1ink.com. We use the finest materials and we always keep our prices low to help you get the products you need. You already know that your printer produces exceptional work, but affording the toner you need to stay productive can be challenging, especially if you’re paying OEM (original equipment manufacturer) prices. OEM HP toner cartridge works great, but 1ink.com’s remanufactured toner will let you get all the print quality and product specs you rely on for a much lower price. 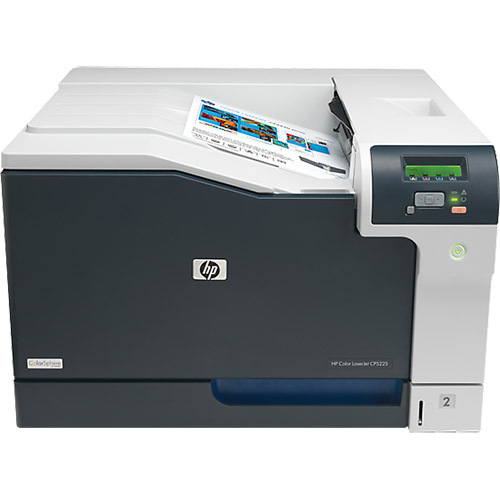 You’re going to love our affordable HP Color LaserJet CP5225n toner. It’s guaranteed to install easily in your printer, perform up to OEM standards, and produce satisfactory work. If you’re not completely satisfied, you can return your purchase – it’s that easy! However, we’re confident that once you’ve tried our remanufactured HP 307A toner, you’ll be a happy customer who keeps coming back. Trust 1ink.com for all your print supply needs and never pay full OEM prices again!